Beethoven only needed the famous and fateful four notes that open his Fifth Symphony to shake the musical world to its core. In this piece, he single-handedly changed the way composers could conceive of writing large scale symphonies. Whether it be your first or fiftieth hearing, experiencing this work live as it was intended is certain to reveal new wonders every time. In Rachmaninoff’s Symphonic Dances lies an intense nostalgia for years gone by. Nathan Aspinall returns to the Jacoby Symphony Hall stage to lead the Symphony through a piece filled with rhythmic energy and warm colors perfect for the holiday season. Four days. That’s how long it took Robert Schumann to write his First Symphony. He spent his first 30 years living in the shadow of Beethoven’s symphonies writing pieces more modest in scale and then burst forth with an explosion of creative energy. Schumann didn’t need to write this piece to cement his place in history, but it certainly elevated it. Does it get any more American than Aaron Copland and Duke Ellington? One the flagbearer of distinctly American classical music, the other a giant of jazz, yet both found great influence in each other’s genres. Ellington’s Celebration was written for the Jacksonville Symphony’s 25th anniversary and Copland’s Clarinet Concerto with virtuoso clarinetist Anthony McGill is pure joy in a way that may even exceed his famous Appalachian Spring. Matthew Halls, one of the most brilliant conductors of his generation, returns to Jacksonville to lead the Symphony through Brahms’ bucolic and buoyant Symphony No. 2. Brimming with optimism and lush melodies, this piece will leave joyful melodies in your ear all weekend long. 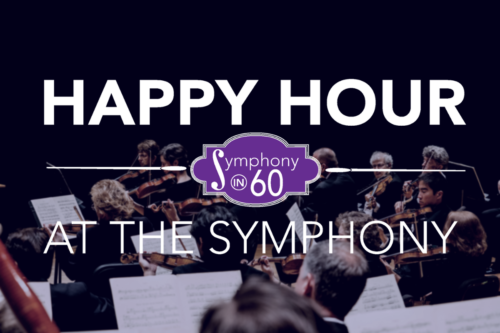 Beethoven’s “Emperor” Piano Concerto is the perfect party piece for the final Symphony in 60 of the season. The proud and sturdy first movement yields to a second of profound intimacy, which explodes into a third movement so full of rhythmic electricity it will carry you through the entire weekend.